Keep Your Kitchen Lighting. . . Decorate It! LED and Fluorescent Light Panels Can Be Decorative! Enhance the practical benefits of fluorescent and LED lighting with the artistic and stylish visual qualities found in fine lighting decor. 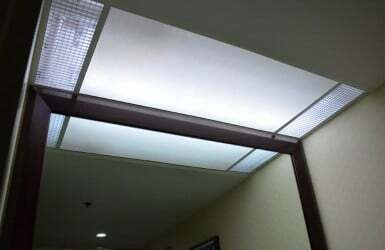 Fluorescent Gallery Decorative Light Covers are a quality lighting upgrade for ordinary fluorescent and LED lights, and provide a significant contribution to the overall style of any establishment, including homes, restaurants, healthcare facilities, schools, salons, hotels, offices, and more. 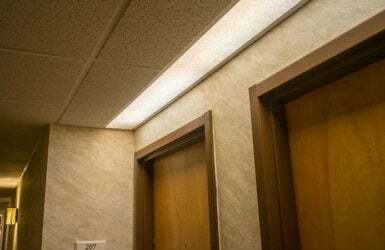 Whether you need decorative replacement light panels, a large Sky Ceiling Mural, or are in charge of a hotel lighting remodel, we can provide a creative, decorative solution to produce the most attractive after market improvements available for LED and fluorescent lighting. Each of your light panels is not only a blank canvas, but a back-lit one beckoning for an artistic image to provide some flair. There is a wide range of product quality on the market. Before making your purchasing decision you will want to read our What Makes a Quality Decorative Light Panel discussion to get you up to speed. 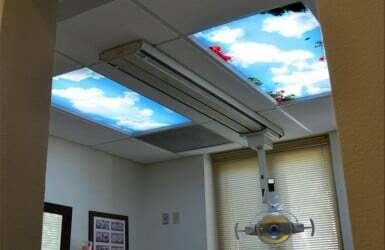 Upgrading your fluorescent light covers to something decorative is simple. And since these diffuser panels (or light covers) come in a variety of non-standard sizes, we have designed our process to produce your replacement light panel in the exact size needed. Our artwork is modified for a perfect fit, rather than simply stretched or cropped. For our 200+ unique design options, we produce decorative panels on the highest quality acrylic available. The silky matte finish on this carefully selected acrylic provides the perfect canvas for our high resolution artwork. Your investment is long term, since our lenses will last for years without discoloring or becoming brittle. 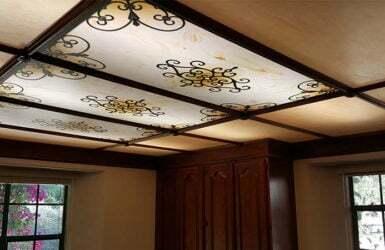 When your new light panels arrive, you will have perfectly centered artwork in your specific fixture or suspended ceiling lighting arrangement. Inspired by our customer requests for prints to accommodate vertically installed LED and fluorescent light boxes, we have taken the task to another level with prints that produce stunning large size imagery on walls and back-lit installations. Our ultra large format photographs are some of the highest resolution images available anywhere for print. Order a print for a wall mural, or back-lit acrylic panels for a light box. These [California Gold Set] arrived today in very secure packaging. We opened and installed them into the “light box” in our kitchen. These are absolutely BEAUTIFUL!!! My initial plan was to tear out the light box and install different lighting. These panels took a blaring light box and turned it into a beautiful feature in my kitchen. Highly recommend this company and this product!